Illinois psychology graduate student Faith Shin conducted a study that found that reading articles from trusted religious sources advocating care of the Earth can affect Christians’ attitudes about climate change. CHAMPAIGN, Ill. — Christians’ attitudes toward the environment and climate change are shaped by whether they hold a view of humans as having stewardship of the Earth or dominion over the planet, and reading material from religious sources advocating a stewardship interpretation can increase their concern for environmental issues, a new study found. 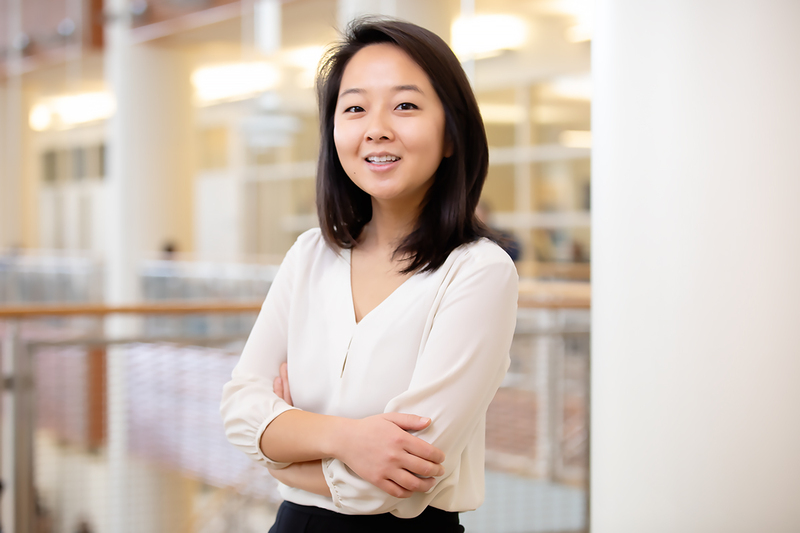 University of Illinois psychology graduate student Faith Shin and University of Warwick psychology professor Jesse Preston published their study in the journal Psychology of Religion and Spirituality. “Stewardship and dominion ideas are common among Christians. We were interested in whether these ideas, as well as having them advocated by credible or trusted sources among Christians such as the Bible or Pope Francis, had an effect on Christians’ attitudes toward the environment,” Shin said. Shin and Preston surveyed 292 people to measure how stewardship or dominion beliefs correlated with attitudes toward climate change. They found that stewardship beliefs – that God commands humans to care for the Earth and foster its resources – were associated with greater concern for climate change as a moral imperative. Meanwhile, dominion beliefs – that God gives humans free reign over the Earth and its resources for their own gain – were associated with lesser concern for climate change. The researchers then performed two experiments to see how trusted religious figures influenced Christians’ interpretations of stewardship or dominion theology. In the first experiment, 588 participants were given one of three articles to read: two using the Bible to support either a stewardship or dominion belief, or a control article on an unrelated topic. “We took real Bible passages that could be interpreted as supporting one view or the other, then wrote up mock articles for the participants to read. Right after they read the passages, they answered some measures about their moral concern for climate change and their belief in climate change,” Shin said. In the second experiment, 498 participants read articles citing Pope Francis as a religious figure. One group read an article quoting from the pope’s 2015 encyclical on environmental stewardship and climate change measures, the second group read an article about his stance on birth control, and the third read an unrelated control article. In both experiments, people who read articles promoting care for nature – those that cited biblical passages on stewardship or that quoted the pope’s encyclical – showed greater moral concern for the environment and climate change compared with the control group. However, reading dominion messages did not reduce moral concerns for climate change in the same way. Next, the researchers plan to study how other religious beliefs or faith systems affect their adherents’ attitudes toward climate change and the environment. “Religion has a powerful influence on moral concerns. Climate change is arguably the biggest challenge facing the world, and most of the world's population identify with a religion or belief in God. It makes sense that religious beliefs should also have powerful influence on moral attitudes toward the environment,” Preston said. To reach Faith Shin, email fdshin2@illinois.edu. To reach Jesse Preston, email j.preston@warwick.ac.uk. The paper “Green as the gospel: The power of stewardship messages to improve climate change attitudes” is available online.